If a human being dreams a great dream, dares to love somebody; if a human being dares to be Martin King, or Mahatma Gandhi, or Mother Theresa, or Malcolm X; if a human being dares to be bigger than the condition into which she or he was born—it means so can you. And so you can try to stretch, stretch, stretch yourself so you can internalize, ‘Homo sum, humani nil a me alienum puto. I am a human being, nothing human can be alien to me.’ That’s one thing I’m learning. Life taught me that every Human Being that walks this Earth is a Sacred Being. And that it is my responsibility to treat them as such. It is our responsibility to love, respect, and honor the one another. Not so that we can get something in return, but because that’s what our souls were created to do. the ransack of hunters crackling the near branches. I shall not, I shall not be moved. Momma, is Master going to sell you from us tomorrow? Unless you keep walking more and talking less. Unless the keeper of our lives releases me from all commandments. will be executed upon the killing floor of innocents. made her cry each time into a new voice. Iniquity has bound me to his bed. Yet, I must not be moved. whore, hot tail, thing, it. fluttering and urging the winds of reason into the confusions of their lives. She stood in mid-ocean, seeking dry land. at the latch on Freedom’s gate. down a pyramid for years. confounded by the lack of choices. reduced to the pity of hand-outs. holding God in her throat. For I shall not be moved. WOW! I said. She has a way with words, wouldn’t you say? Love this and the painting is beautiful! The poem too. My favorite of her poems. What a beautiful, precious soul😊 thanks! Her poetry kept me grounded and hopeful. When I first heard this poem, it was spoken by Oprah speaking at the NAACP awards. I watched it several times over that weekend – as tears of love flowed each time. Remembering my grandmother, knowing what my mother means to my children, and what I hope I am to my grandchildren. For me this poem will never be forgotten. Her poems often bring tears. This one makes bawl. It is very personal. Thank you. I will reblog. 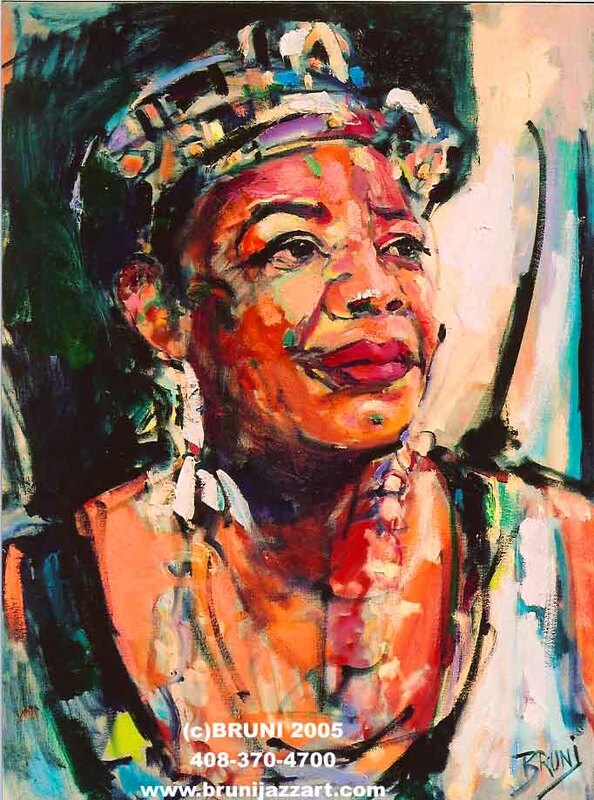 This is black history month and Maya Angelou is an important part of black history. Reblogged this on Failure to Listen.